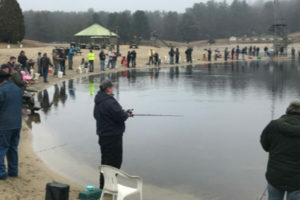 On Saturday, April 6th, Trantolo & Trantolo and TSI Harley-Davidson proudly presented the 2019 Fishing For A Harley Tournament to benefit the MDA of Connecticut. 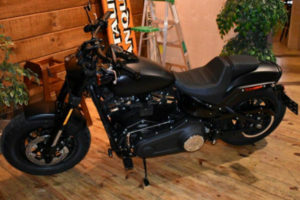 We caught a “reel” good time fishing for the grand prize 2019 Harley-Davidson Fat Bob motorcycle! 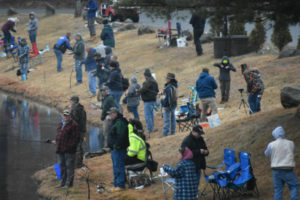 People from New Hampshire, Massachusetts and all around Connecticut joined us for an early morning of fishing at Sun Valley Resort in Stafford Springs. 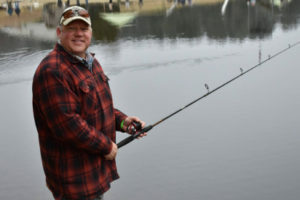 Although no one caught the grand prize tagged fish, we raised over $4,800 for the fight against neuromuscular disease in Connecticut. 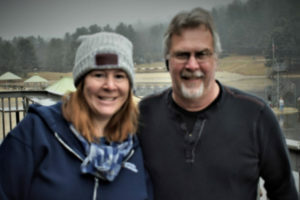 This was our 4th Annual Fishing For A Harley Tournament. Since our law firm was founded over 80 years ago, we have developed and continued to strengthen our community ties. Trantolo & Trantolo proudly organizes, sponsors and supports many local charitable events. 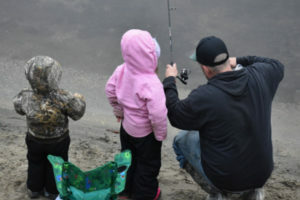 We look forward to another successful fishing tournament next year! The group dropping their lines. All smiles by the lake!